The new technologies in the Google keyboard works without Internet connection, and can perform a large number of tasks on behalf of its owner. The new voice recognition technology allows the keyboard to write e-mails, text messages and blogs via voice commands only, without the need for Internet access. This feature currently supports "English" only, but will soon support other languages. 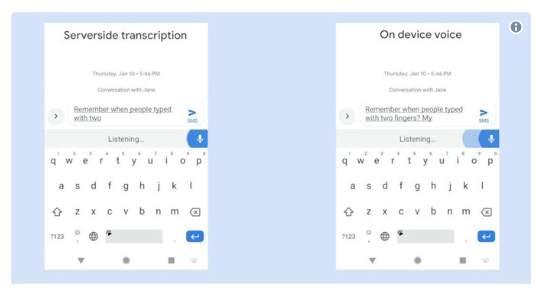 Google has also added a new, unprecedented technology that will enable users to translate any text into more than 100 languages ​​in just a few moments, with high precision using voice commands.